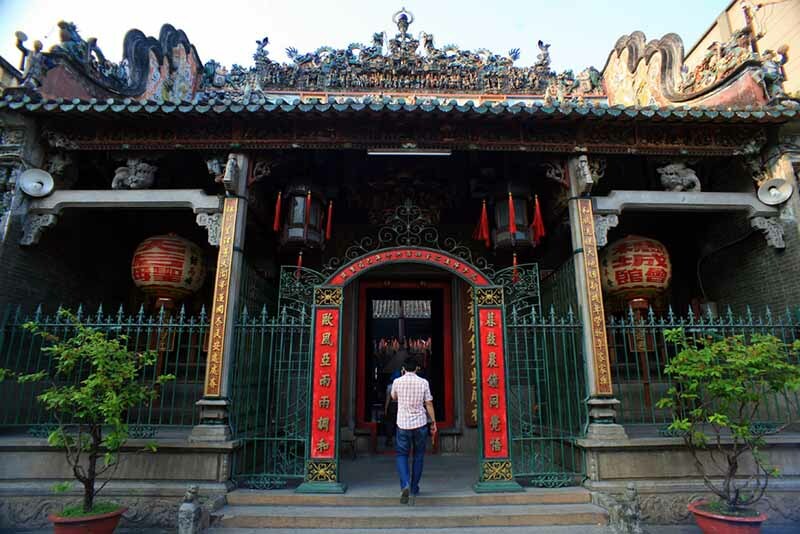 Thien Hau Temple, officially Pagoda of the lady Thien Hau, is a Chinese-style temple of the Chinese sea goddess Mazu located the Cho Lon of China Town Ho Chi Minh City. 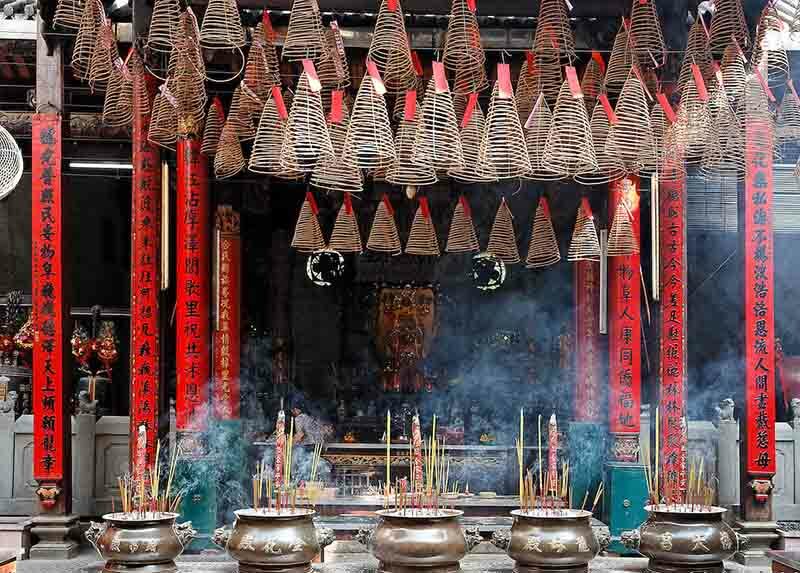 The pagoda was built in 1760 by the Chinese community who has donated money to build the temple of lady Thien Hau to show their gratitude for the blessings. 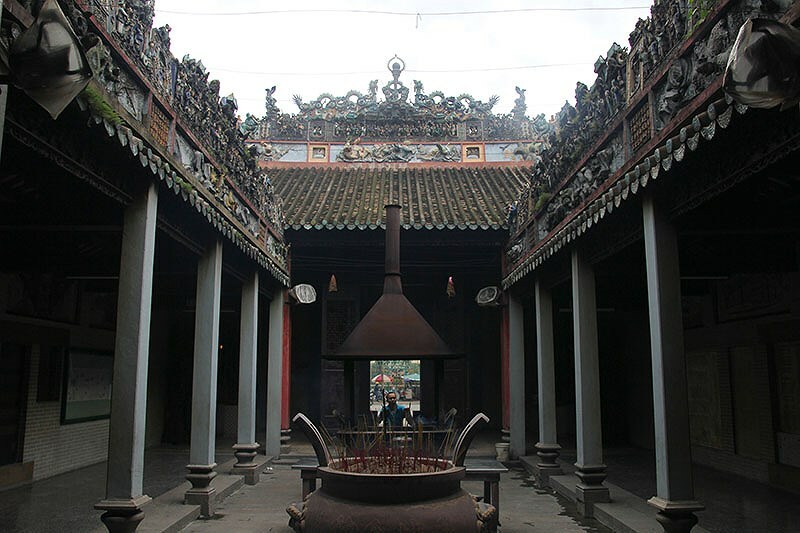 After 256 years of existence, Thien Hau pagoda still retains the unique architecture despite several restoration. 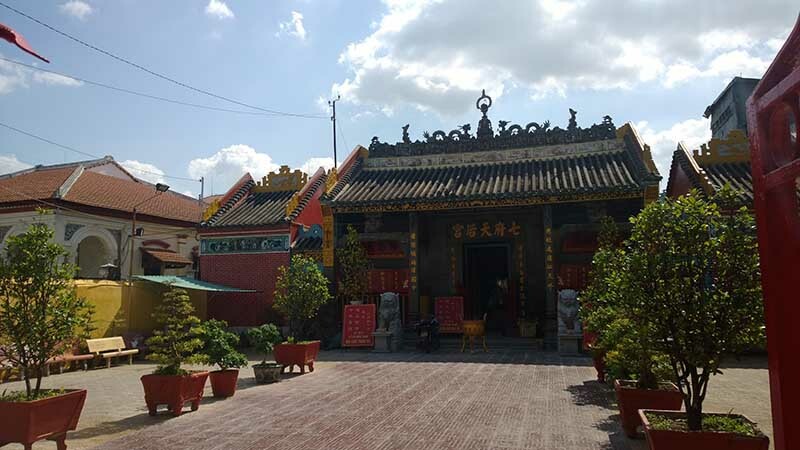 Thien Hau temple is a spiritual home that has a great influence on the cultural life of the Chinese community living in HCM city. 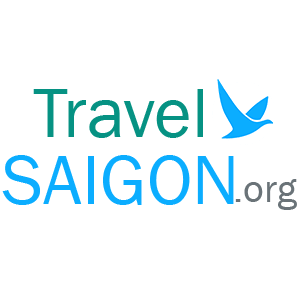 Thien Hau temple is one of the oldest pagodas in Saigon, bearing the style of the ancient Chinese pagoda, from the architecture to construction materials. The pagoda has hundreds of antiques dating from the late 18th century to the early 20th century, including wooden statues, stone statues, stone stele, bronze statues, parallel sentences, bas reliefs..
On the occasion of the Lunar New Year and especially on 23.3 lunar calendar, there are many Buddhist pilgrims inside and outside the temple. 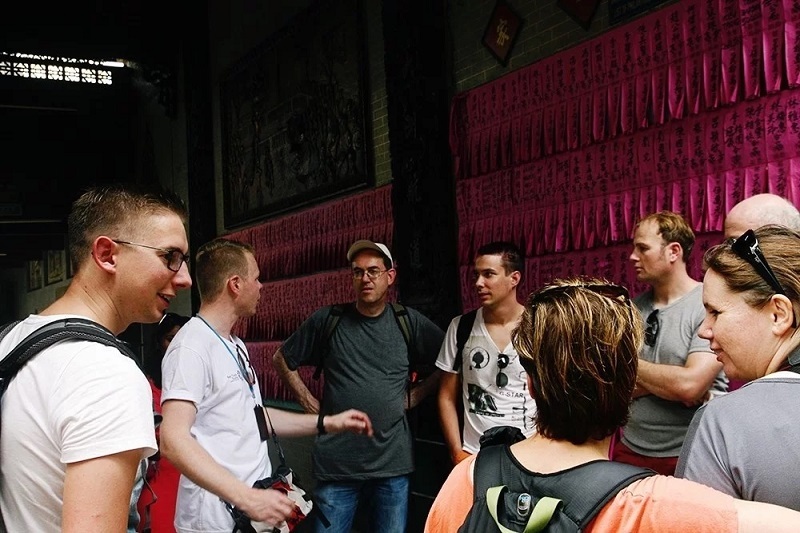 As such, as with the Jade Emperor pagoda, you should visit the temple on weekdays so that you can easily see each of the ancient ruins.